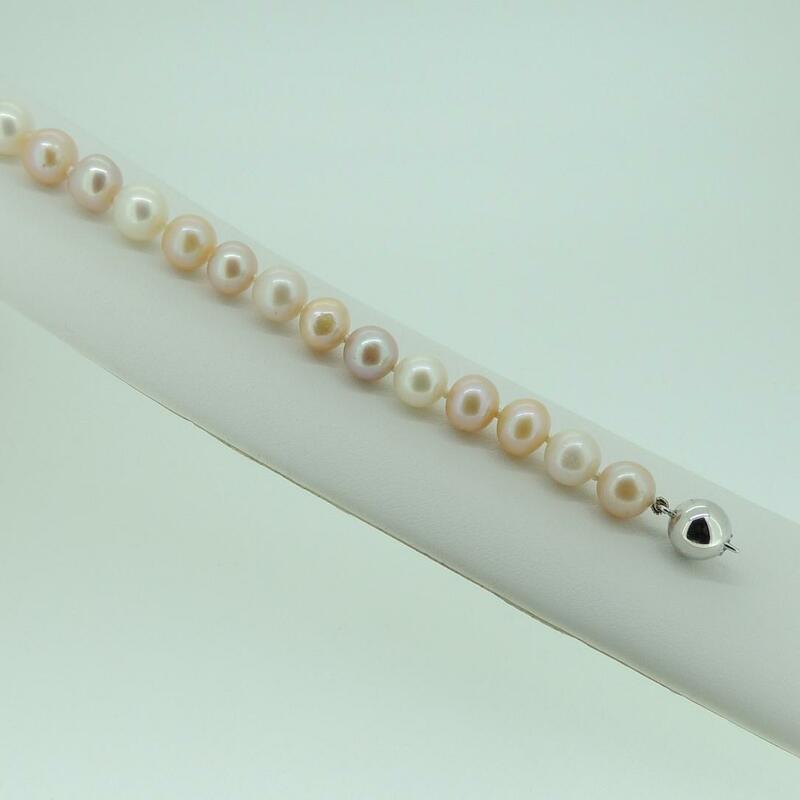 Cultured freshwater 8-8,5mm pastel round pearl set. 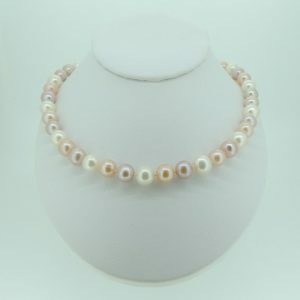 Necklace and bracelet strung on silk with knots between each pearl with sterling silver or 9ct yellow ball clasp. 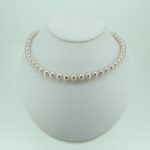 Available in various lengths.